There are many ways to improve our quality of life and Be Happy! If you have spent any time on this website, you know that. As human beings, we all have the capacity to be happier, healthier, and more fulfilled. And by using some of the strategies and tools here at behappy101.com, this is certainly a growing reality. ...are all simple, effective tools we can use everyday to make our lives better. To live the happiest possible life, though - which is the ultimate goal of this website and the whole BeHappy! system - it’s important to also understand (and use) some of the physiological happiness tools available inside every one of us (and there are many). Yes, scientific research has shown that our degree of happiness – or unhappiness – is partly determined by physiological effects within our body. And that doesn’t just mean our genetic predisposition, although that certainly has something to do with it. What I’m talking about here are certain internal functions – some actually within our control (at least partially) - that can determine our psychological perspective on a day-by-day basis. These physiological systems can actually make us happier – and can even help us live longer, with a higher degree of vitality and health. One very interesting example of an internal (physiological) function relates to certain impulses created by our nervous system everyday called brain waves. 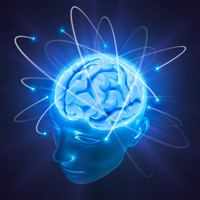 Research indicates that brain waves can affect our health, happiness, and even longevity – perhaps signifcantly. Did you know that there are different types of wave patterns generated within our brains? And did you also know that each type of brain wave is reported to have a different affect on our mind and body? And those affects are partly physiological – like causing the release of certain chemicals or hormones which influence the way we feel. Even more relevant to the BeHappy!concept is the fact that certain of these brain waves appear to make us happier and some make us less happy. Most importantly (again, consistent with the goal of making everyone happier) is the concept that we can influence our happiness, health, and longevity by altering the amount of time our brains spend “creating” each of the four types of brain waves! If this is true, we can have some control over our level of happiness by finding ways for our brains to produce the “happiness” waves more than the “unhappiness” waves. So, understanding – and managing – the types of waves we produce within our brains can have a profound effect on our happiness, health, wealth, and longevity! Every hour of every day, nerve cells in our brain produce electrical signals or impulses that change in discrete patterns called brain wave patterns. These patterns have a direct relationship to our thoughts, emotions, state of being, bodily functions, and really, our whole quality of life! Scientists have identified four types of these brain wave patterns. The most rapid of the four waves is called a beta brain wave pattern. This is the pattern of normal daily waking consciousness and is associated with concentration, arousal, alertness, and cognition. Unfortunately, at the highest, fastest level, beta waves are associated with anxiety, worry, conflict, and agitation. A second brain wave pattern is called alpha. Alpha waves vary from deep alpha - a state of intense relaxation often referred to as the twilight state between sleep and waking - to the higher end of alpha, which is a more focused state, yet still very relaxed. When you are absorbed in a good book or movie, for example, you are probably experiencing one of these “higher” alpha brain wave patterns. Alpha waves are also associated with what is known as "superlearning" — which is an ability to learn, process, store and recall large amounts of information quickly and efficiently. Third, and slower still, are theta waves. Theta is best known as the brain wave state of dreaming sleep, and is associated with several beneficial affects, including increased creativity and memory, some kinds of superlearning, and our ability to make broadly-based positive changes in the way we see ourselves, others, and certain life situations. Experiences where we suddenly have an insight or a great idea are typically accompanied by bursts of theta waves in our brain. And best of all, theta waves are also a state of significant stress relief. 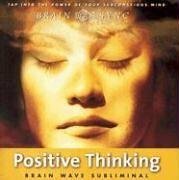 In the theta brain wave pattern, the brain produces relaxing endorphins that act to reduce stress - physiologically. The fourth and slowest brain wave pattern is called delta, which is the brain wave pattern of dreamless sleep. Generally people are asleep when delta waves are produced, but there is evidence that it is possible to remain awake and alert in this state. This is not easy to achieve – and apparently you would have to experience it to understand it (which I haven’t done yet). Certain delta frequencies cause the brain to release several highly beneficial substances, including human growth hormone (HGH), which our bodies tend to make in decreasing quantities as we get older, resulting in many signs of aging, including loss of muscle tone, increased weight gain, loss of stamina, and many diseases associated with aging.Researchers at the University of Wisconsin in 1990 found that when they had injected synthetic HGH into a small group of elderly men between the ages of 61 and 81, the result was a sudden and profound “rejuvenation” that actually reversed biological aging by as much a 20 years! As I’m sure you know, in addition to HGH, our bodies produce many substances which affect our physiology and psychology. One such “chemical” made in our bodies is cortisol - a hormone naturally produced by the adrenal glands, which sit on top of our kidneys. According to research, cortisol is a major age-accelerating hormone. It also interferes with learning and memory and is, in general, bad for our health and well-being. It is actually known as the "stress hormone" and the more of it we produce, the more stressed we feel, the more susceptible we become to disease, and the faster we age! Another hormone, DHEA (dehydroepiandrosterone), is also produced by our adrenal glands and is a precursor, or source ingredient, for nearly every hormone our body needs. The DHEA level in our body has a significant effect on our physiological age and resistance to disease. When levels are low, we age more quickly and become more susceptible to disease; when levels are high, our bodies age more slowly, are more vibrant and healthy, and are better able to combat disease effectively. DHEA acts as a buffer against stress-related hormones (such as cortisol), which is why as we get older and make less DHEA, we are more susceptible to stress and disease. Melatonin is another hormone that can contribute positively to our health and well-being by helping to create restful sleep, among other things. Our bodies make less of it as we age, and since during sleep many important rejuvenating substances are created in the brain, the inability to sleep soundly can decrease the quality of our life greatly and accelerate the aging process significantly. New research also reveals that melatonin is a powerful antioxidant. So, what does all this mean to us? Well, fundamentally, as you probably have already guessed by reading this basic brain wave pattern summary, one way to improve our health, reduce stress, and even live longer would be to get our bodies to maximize the production of the “good” chemicals and minimize the production of the “bad” ones. 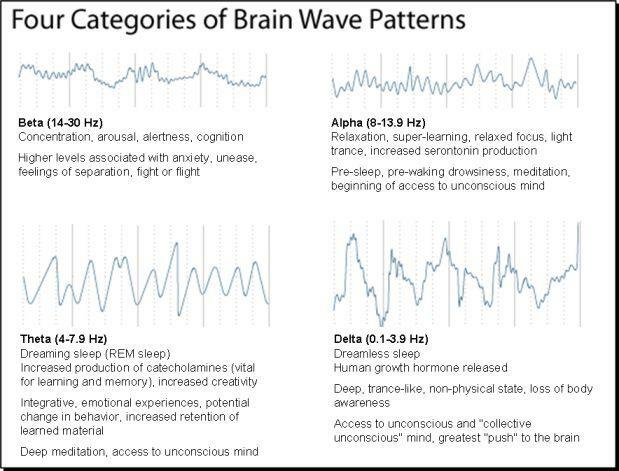 Based on this brain wave pattern research, this correlates – at least partly – with the amount of time our brains spend producing the theta and delta wave patterns – versus the amount of time we spend in the higher levels of the beta wave patterns. One method for changing the amount of time our brains spends within each of these wave patterns is through meditation. If you already meditate on a regular basis, then you know the beneficial effects first-hand. If you don’t, it could be another tool to help you live a happier, more stress-free life. It certainly takes time and commitment to learn and master meditation. But if you are willing to work on it, the benefits – both physically and mentally – can be well worth the time and effort. 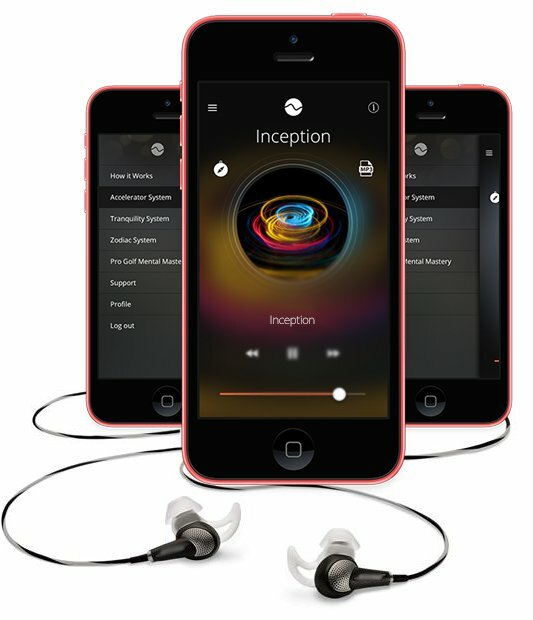 Another tool I just learned about is a “product” called Holosync® audio technology from Centerpointe Research Institute. This product claims to provide all the benefits of meditation in a fraction of the time and with a fraction of the effort. It is based on a technology I stumbled upon as part of my research for this article called “brain synchronization”. You can learn more about it if you are interested at www.centerpointe.com. In fact, some information in this article is from that website. And although I have not experienced this product yet first-hand (although I have ordered the free demo) - the bottom line is that, scientifically and medically speaking, it makes sense to me as a physician. The wave patterns in our brains cause the production and/or release of important chemicals in our body. These chemicals have some affect – either positive or negative - on how we think, how fast we age, and how susceptible we are to illness and disease. If we can reduce the chemicals that cause the negative effects and increase the ones that produce the positive effects, we will be healthier – both mentally and physically. So whether you use meditation as a means to achieve this, or you try a product like the Holosync® audio technology, the effects could be dramatic to your health and happiness. Or they could be very subtle – and you won’t realize the benefits until you are a healthy, happy, 100-year old!